AleaSoft, April 10, 2019. 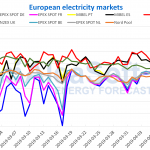 At AleaSoft we are publishing three weekly news related to the Spanish and European electricity sector. In recent months we have published some articles related in some way to the self-consumption because of the importance it has and the media interest it is awakening. The fall in prices of photovoltaic panels is producing a revolution in the electricity production, due to its low cost in infrastructure and maintenance, because it requires a renewable and inexhaustible raw material such as solar radiation and also because it is a totally ecological energy, with maximum respect for the environment, so that photovoltaic electricity production is the ideal technology to lead the energy transition. 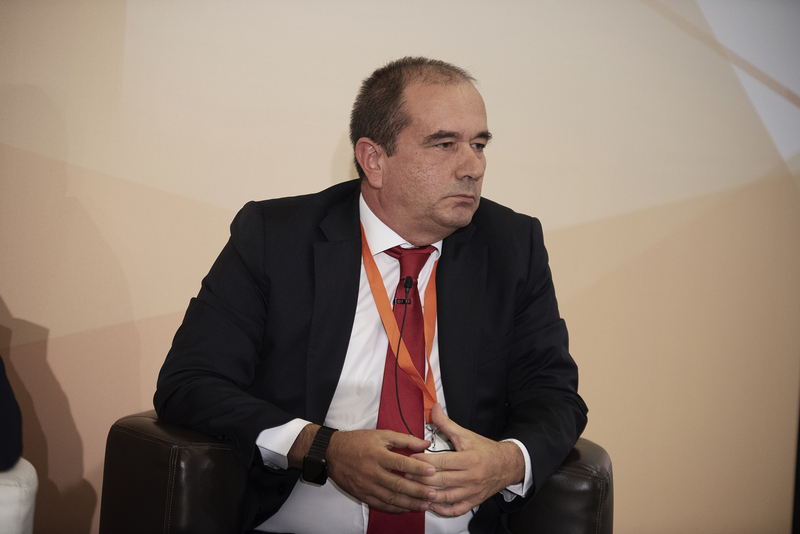 Because of the solar resource that we have, especially in the south of the country, in Spain we can go from being net importers of energy to being exporters in a few years. 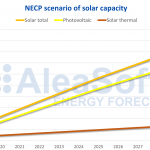 Source: Prepared by AleaSoft with data from National Renewable Energy Laboratory. The different configurations that solar panels can have ranges from a few square meters on the roof of a house with a power of the order of a few kW, to thousands of square meters with a power of hundreds of MW. The larger the photovoltaic installation, the more efficiency is achieved, and the investment cost per installed kW is reduced as well as the maintenance cost. In large photovoltaic parks, the most efficient configuration at the moment is to install bifacial panels with tracking. At domestic level, to install a photovoltaic self-consumption system, the initial investment is relatively high and it is necessary to have an appropriate roof. When the initial investment is amortised, clean electricity is obtained with the only cost of maintenance, management and security of the installation. To this is added that when the house is not being inhabited, on some weekends or holidays, the surplus photovoltaic energy production can be fed into the distribution grid and receive remuneration. In general, once the investment is amortised, the savings can be considerable. But in addition to the savings in the electricity bill, there is the contribution to the environment care also favouring the country to import less electricity, gas and coal from abroad. Another kind of domestic self-consumption is the collective, when a group of neighbours is organised to share larger and therefore more efficient photovoltaic installations. This is, from a set of organised houses, urbanizations or small cities that, in the ideal case, will not need to connect to the grid to consume, but to export the excesses of electricity production. The main beneficiaries of the self‑consumption are the companies because they have more surface for the installation of the panels and more financial resources for the initial investment. In addition, by being able to deal with larger photovoltaic installations, they will be more efficient. As in the case of domestic self‑consumers, the electricity bill will be significantly reduced when the investments are amortised. In the case of companies that are large electricity consumers, the electrointensive industries, self‑consumption can be carried out from photovoltaic installations that are near or far from industrial facilities. One way to help the electrointensive industries sector can be through the promotion of self‑consumption. All companies with relatively large electricity consumption should consider that photovoltaic electricity production is a great opportunity, either to produce it through self‑consumption or to acquire it through a PPA (Power Purchase Agreement). The most important thing that the electricity consuming companies have to have, is a vision of the future of the electricity market price to draw up a strategic short, medium and long-term purchase with different products, but most of all by diversifying the sources from which they obtain electricity, among which we must keep in mind those that are renewable and clean, such as photovoltaic self‑consumption or a PPA with a wind or photovoltaic energy farm. In both cases, domestic and industrial, the electricity storage is a pending issue to be solved, but it is progressing rapidly from the viewpoint of scientific research and technological development. The storage can be by batteries or by hydrogen cells. With a storage system you can cover the electricity needs when there is no sun, on cloudy days or at night. At AleaSoft we are proposing that the production of hydrogen, complementary to photovoltaic self‑consumption, will have a strategic importance in the future. The excess of photovoltaic production per day can be stored in the form of hydrogen to transform it back into electricity at night or to sell it if the price of electricity is very low. 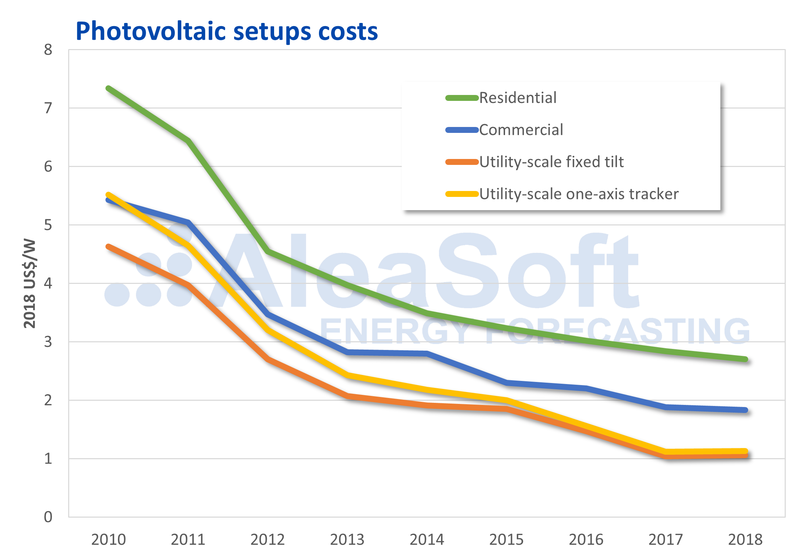 An important issue that we mentioned in AleaSoft in previous publications is related to the situation that will occur in the future when self‑consumption reaches significant volumes causing the management of the electricity system to be much more complex. Good energy consumption and generation forecasts in real time will be needed to keep the electricity system balanced at all times. The increase of self‑consumption is also a technological opportunity, since it will encourage new tools to manage the grid and surpluses in a dynamic and intelligent way. In this sense, technologies based on the blockchain are begining to be mentioned, through which demand management and distributed production will be carried out in a decentralised, transparent, consensual way and in real time. Self‑consumption is a fundamental bastion to meet the objectives of the Integrated National Energy and Climate Plan (NECP) to achieve in 2030 an emissions reduction of 20% over the levels recorded in 1990, which represents a reduction of more than 30% of the current emission levels.